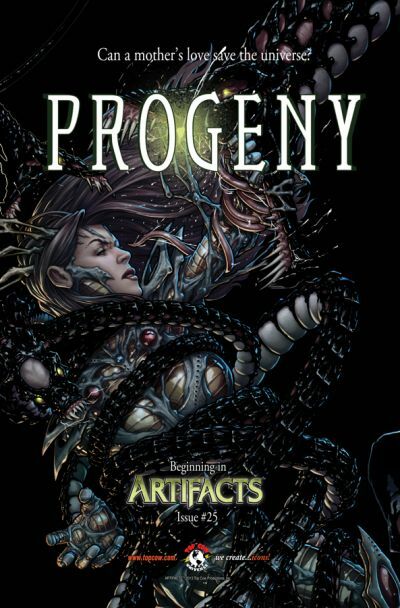 The events of Top Cow’s vanguard titles have been building to the climactic confrontation in a universe-changing four-issue crossover event: “Progeny.” Jackie Estacado, wielder of the ancient power The Darkness, has remade the world according to his own wishes. 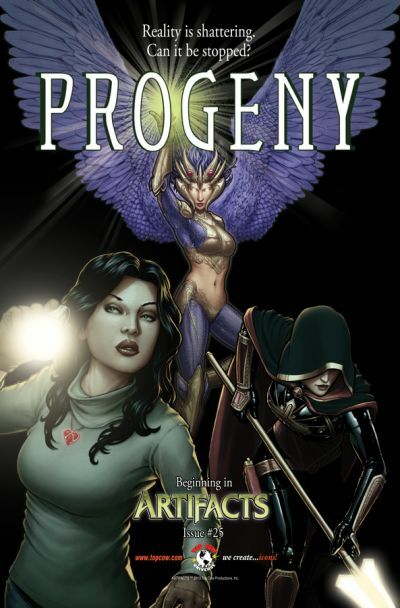 His daughter with Witchblade bearer Sara Pezzini, Hope, sacrificed as a baby to save the universe from obliteration, is, in his new world, on the verge of adolescence, and Jackie’s high school girlfriend who had died tragically, Jenny, is her mother - and alive. Now, the hero of the series ARTIFACTS, Tom Judge, has unraveled the truth of what happened to the world. 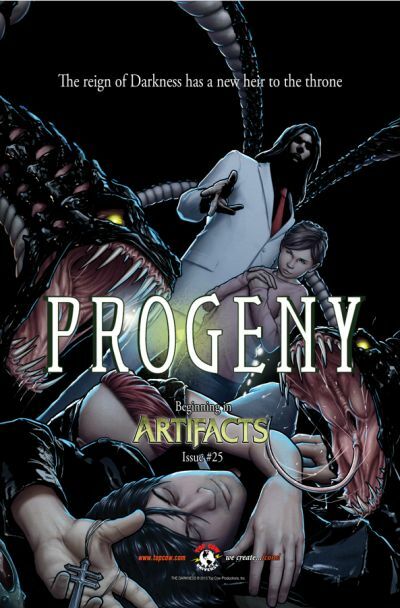 Ron Marz, Stjepan Sejic, and Marco Turini (ARTIFACTS), Tim Seeley and Diego Bernard (WITCHBLADE), and David Hine and Jeremy Haun (THE DARKNESS) unite to form an interlocking story as Judge gathers together his fellow Artifact bearers for a final clash with Estacado. 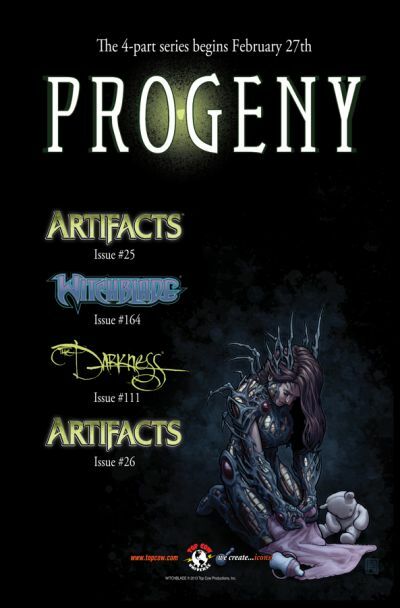 “Progeny” begins in ARTIFACTS #25, continues in WITCHBLADE #164 and THE DARKNESS #111, and will come to a dramatic conclusion in ARTIFACTS #26.